I don’t. At least not yet. But let me share with you my list of favorite resources. First off though: Do you actually need these Power tools? If you analyse a lot of data, they will make your life a lot easier. Additionally, if your data is from different sources, they will simplify the reporting process. What’s the difference between these Power tools? 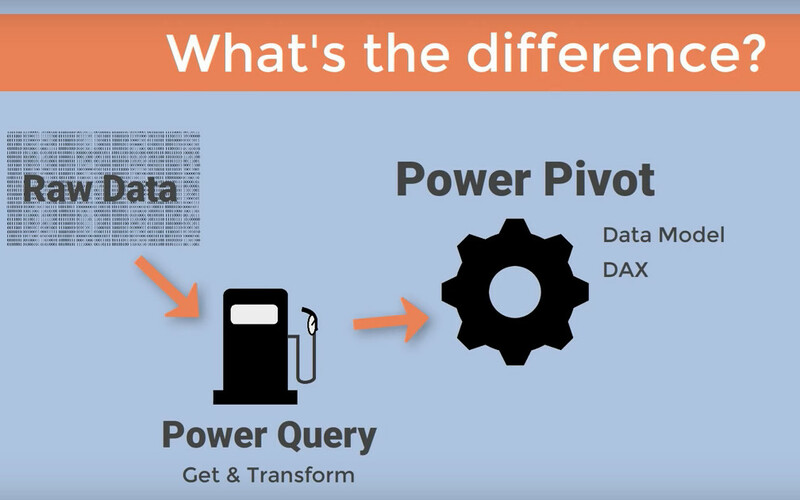 As Rob Collie says, Power Pivot is like the engine, so without it, you can’t get any analysis done. Together with the data model and DAX, you can create the basis for your analysis. 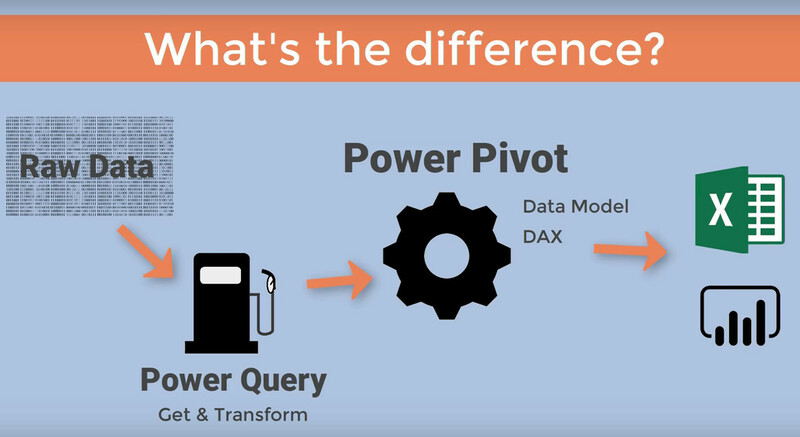 Power Query is the fuel for your engine – it’s how you get the data in. It’s also called “Get and Transform”. It allows you to clean up and prepare your data for the engine. This may involve a few different steps. For example, you might need to add a new column to your data. Or you might need to split some columns with a different logic or delimiter than the rest. Power Query can easily handle it. The best part is: It remembers the steps – similar to the macro-recorder in VBA. It reapplies them the moment new data comes in. Once you’ve prepared the data for the engine, you can create your reports in Excel with the usual charts and tables, or send the data to Power BI. This book has been around for a while, and I’ve been visiting and revisiting it for a while. It’s well written, informative and very entertaining. The Excel Power tools interface is changing a lot, but the core methods on how these tools work is fully relevant. 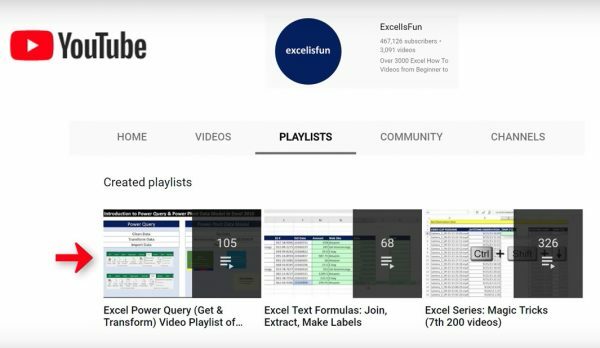 In terms of tutorial videos, Mike Girvin from ExcelIsFun has a super Power Query playlist with over 100 videos. It starts from an introduction, and progresses to doing some seemingly impossible tasks in Power Query. He also has a great Power Pivot and Power BI playlist, and you can download the workbooks and work along with him. 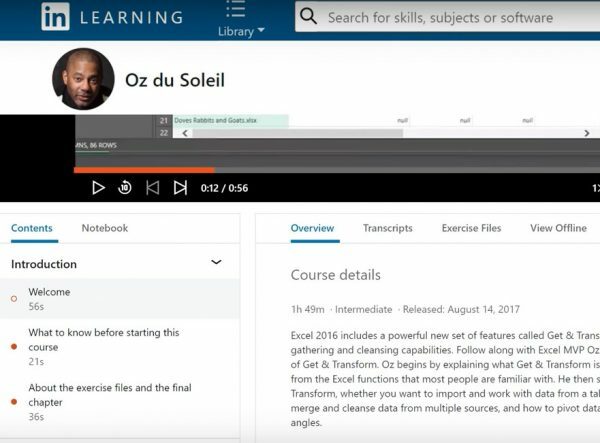 Oz du Soleil also has a great Power Query course on LinkedIn Learning, which takes you through all the steps you need to get your data cleaned before you do any analysis on it. He also has an entertaining YouTube channel that takes you through different challenges to getting to clean data. My favorite one is the one on CSV files, folders and pelicons. 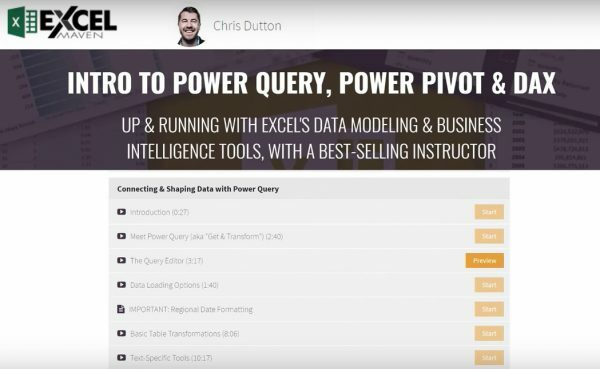 If you like to learn in a structured way and get a great introduction to Power Query, Power Pivot and DAX, I really recommend Chris Dutton’s courses. He also has a comprehensive, hands-on guide to learning Microsoft Power BI Desktop. It’s super easy to follow. You’ll learn the ins-and-outs of Power BI and some powerful tips along the way. If you’re not sure if it’s for you or not, then I suggest signing up for his free preview. It gives a good insight into how he teaches – which is really clear and to the point. What I like about him is that he uses a lot of case studies in his courses, and – if you’re familiar with my teaching methods – I share the same strategy. If you have any other tips for good resources to learn these Excel power tools, please share them in the comments below. I hope you enjoy the learning experience as much as I am. For more resources on Excel’s power tools, check out my resources page.